I was reading the Huffington Post and saw a link to a video report about A&E TV network's new show Heavy. It is a different sort of reality TV: there are no games, no teams, no jackpots and no parting gifts. You do not get voted out or out-maneuvered. It is about people who are literally dying to lose weight. The show follows them for six months - faithfully reporting their successes and stumbles. I have not seen an episode at this time but I have it in my line up to record next time it is on. More on that later. I clicked on the link for A&E's "Heavy" video on the Huffington Post and before I could see the video there was a 30 second commercial spot . . . for Pillsbury Toaster Strudel. Do those ad people know where to place their stuff or what? They know that 100% of the people who click on that link are food consumers (of course) but I am willing to bet that most of the people who click on that link are going to be people who have some sort of issue with food and weight. Toaster strudel is the perfect product for that spot if you want to nail that consumer at an unguarded moment. It is warm, traditional comforting food. It contains butter, flour and sugar. People will return to those food thoughts after they see the emotional video. Heck, I do not eat Toaster Strudel but after seeing the downtrodden people in the video my brain was thinking of the last pleasurable thing it saw: Toaster Strudel! Even the words toaster strudel sound fun and friendly. I went back later to double check my facts on this post and, in fairness, I must report that the commercial is random. It is not always a toaster strudel spot associated with that video's link. I saw it in a link for a police drama later that same day. If you do go to that link in the morning however, let me know if you get Toaster Strudel with a dose of "Heavy." How is any of this helping me in keeping the pounds off? Well, being aware of what advertising can do helps me to recognize where advertisers want me to go. Admitting I thought of Toaster Strudel after the video keeps me honest and helps me not to take that thought to the next level. Sharing this story with you is good for me today and maybe it will also help you. One thing is for sure . . . there will be NO videos of toaster strudel commercials on keepingthepoundsoff.com! 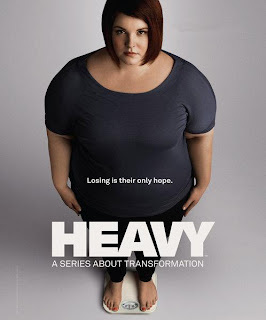 I watched Heavy last night, I thought it was very well done. I'm curious about what you'll think of it. Please let us know! Great job on your weightloss! I just found your blog. I've often thought about the "monetize" feature on my blog. I mean, who wouldn't like a few extra nickles here and there? But, thus far I've refused to do it as I fear the types of advertisements that would be placed. For one, there are so many fad diets out there and unhealthy means in which people attempt to lose weight - I wouldn't want to be associated with advocating such programs, which I would be when those random "Slim Fast" ads (or worse) popped up. 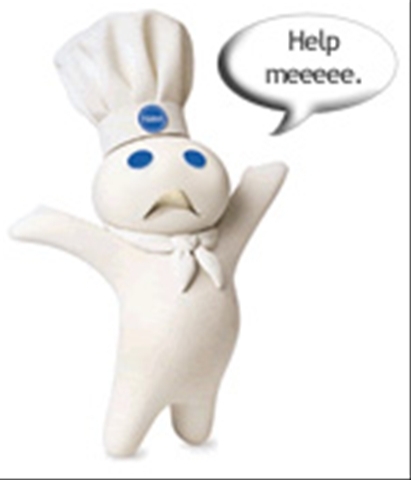 However, what happens when the ad feed contains something like Pilsbury Toaster Strudel? OMG I think I would die! I appreciate your commitment to keeping fad diet drugs and tempting foods off your blog. I have that commitment, too. I do not even have outside advertising on my business website for that reason. I do not want to appear to be promoting a product or service I do not believe in.